Preheat your Yoder Smokers YS640 to 450ºF and place a cast iron skillet inside. Form the beef into two (1/4 lb) patties. 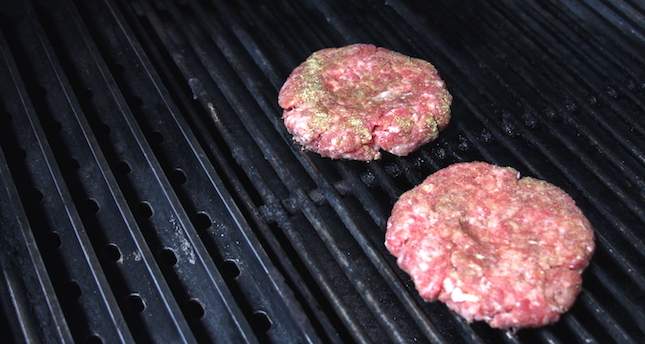 Season the patties with Chili Dawg’s Green Chile Seasoning. Grill the burgers to an internal temperature of 160ºF (check the temperature using an instant read thermometer like the Maverick PT-100). 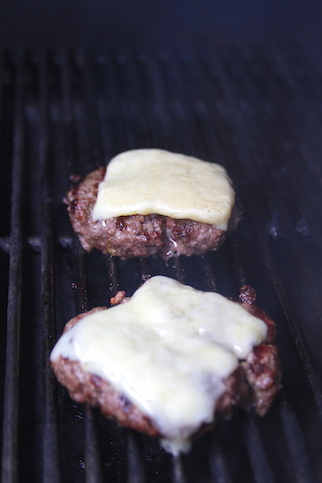 Melt the cheese over the patties when the meat is nearly done. 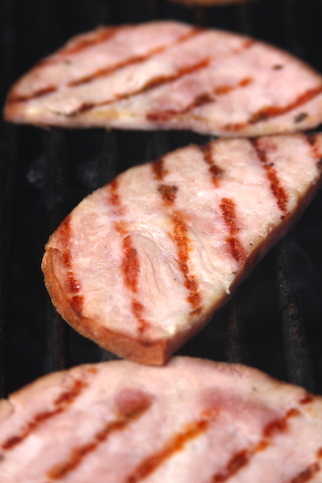 Also grill the sliced ham to warm through, and toast the buns. 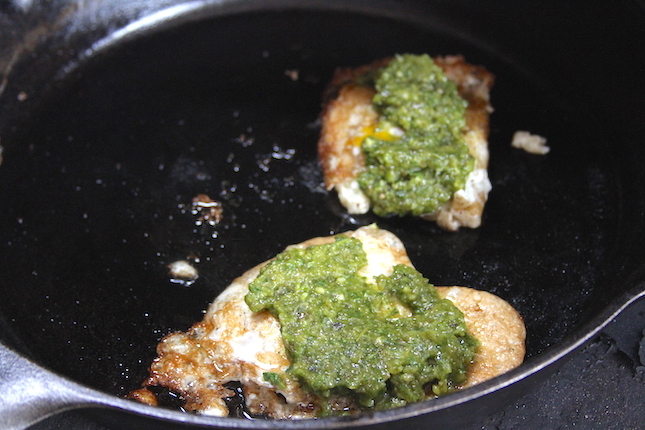 Fry the eggs in the skillet, then top with chimichurri sauce. 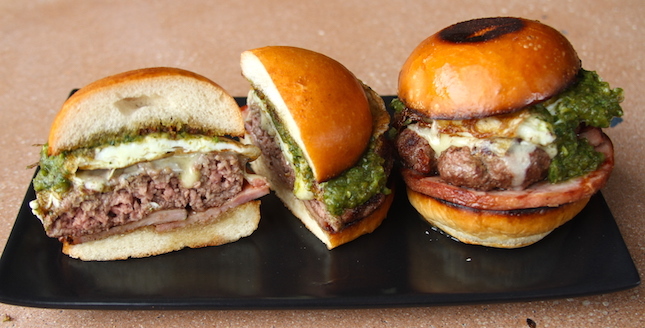 Assemble the burger: bun, ham, burger patty with cheese, egg and chimichurri. Chimichurri Sauce-Place all of the ingredients into the food processor. Pulse until all ingredients are chopped and well combined. Adjust consistency with more olive oil for a looser sauce. Taste and adjust seasoning, as needed. Cover and refrigerate until ready to use.